Create a seamlessly integrated custom portal for your supporters that keeps them engaged. Show me a members’ portal in action. With NeonCRM you can create a login portal for members dedicated to your mission. Retention is one of the biggest challenges for any nonprofit organization. Considering how costly and challenging attracting new constituents is, getting them to become returning donors and dedicated members is immensely important. Strengthen your retention strategy by creating an online hub for member activity and engagement. 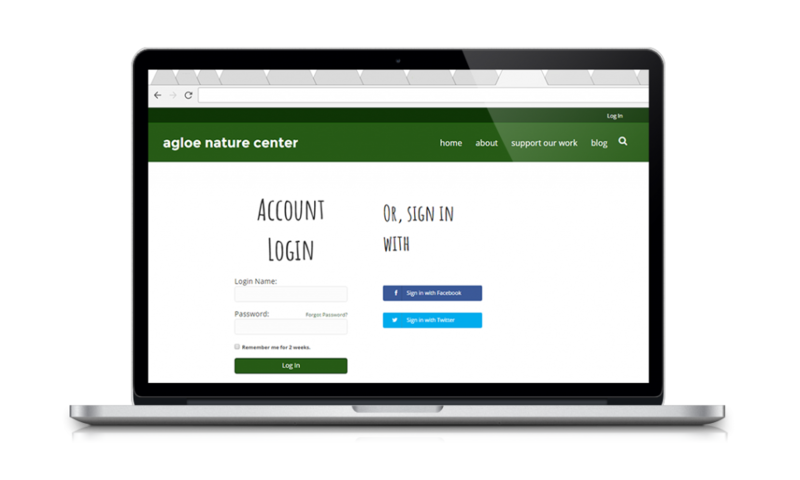 With a seamlessly integrated login portal, give your members unparalleled access to your organization with a login portal just for them. Make it easier and better to stick through with your organization’s journey. Show me the members’ portal in action. An easy and secure touchpoint for you and your dedicated members. Streamline the process for event registration and donating for your members. Once logged in, your dedicated members don’t have to re-enter basic information. Instead of several public access forms you can create centralized forms that can be customized depending on various criteria. This way you can easily apply special member perks like discounts and automate more personalized communications. A hub just for your dedicated members. Through the portal, your members can renew their membership, update their information, keep track of their donations, and learn about more ways to engage with your organization. Tell me more about Neon’s membership software. Gain control over your online engagement. Seamless login from your website. 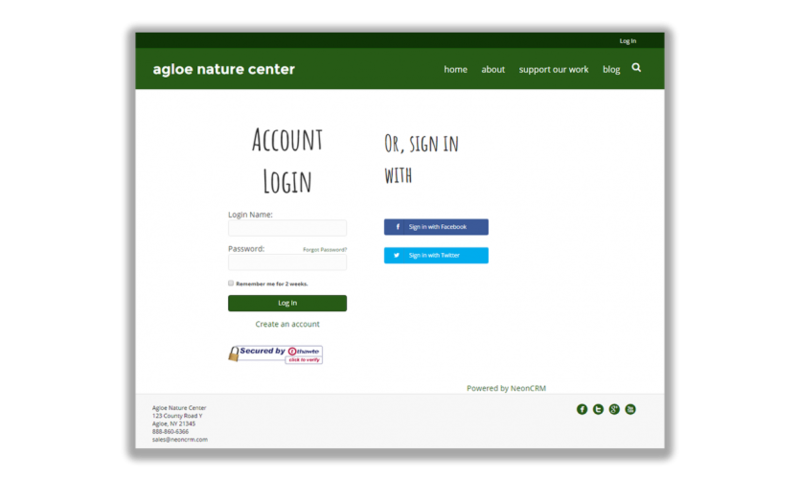 The login portal can be accessed directly from your website. Your members login to a fully-branded page with social-media sign-in options. Adjust and apply to your organization's needs. Are you a member-oriented organization? Then you can set login requirements. Want to keep public-access forms? You can do that, too. 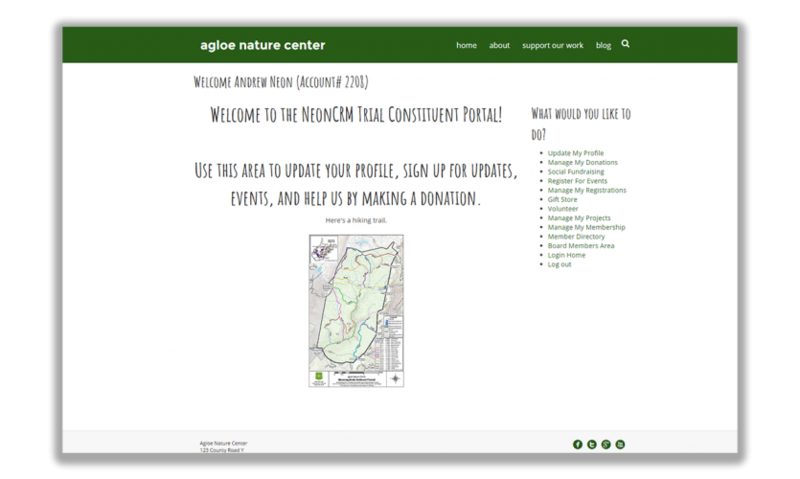 Adjust access to Neon’s donation form, membership forms and login portal most appropriate to your organization. By encouraging or requiring members to create accounts and login, you can reduce information redundancies in your database and take full advantage of Neon’s robust reporting capabilities. Tell me more about managing membership with Neon. Looking for nonprofit donation forms that sync with Quickbooks? We’re here to help. Along with Quickbooks, Neon CRM integrates with lots of nonprofit tools you’ve grown to love. We’re always on a mission to keep growing our integration partnerships. Enhance member engagement and retention today.